You ask me what I mean by an “elastic mind”—from our telephone conversation on Friday. You will have noticed a logical blunder—usually non distributio medii or Hobson Jobson—at every step in the sorites. It is your instinctive, or instructed, objection to commit these that prevents your mind from actually moving on such lines. But these “correspondences,” such as they are, ought to present themselves, be judged as false or true, and rejected or accepted accordingly. The inelastic mind, on the other hand, is tied by training to a rigid sequence, so that it never gets a chance to think for itself. To develop a mind properly it needs (a) “Lehrjahre” (a first-clas public school and university education, or the equivalent) when it learns all sides of a question, and is left free to judge for itself and (b) “Wanderjahre,” when it sees the world for itself, not by any pre-arranged course (Cooks', Lunns', University Extension, Baedeker) but built up on the results of the Lehrjhre, foot or horseback, and avoid beaten tracks. It is the Rosicrucian injunction to “wear the costume of the country in which your are travelling;” this is only another way of saying “When in Rome, do as the Romans do.” The object of this is not merely to avoid interference or annoyance, but to teach the mind to think down to the roots of the local customs. 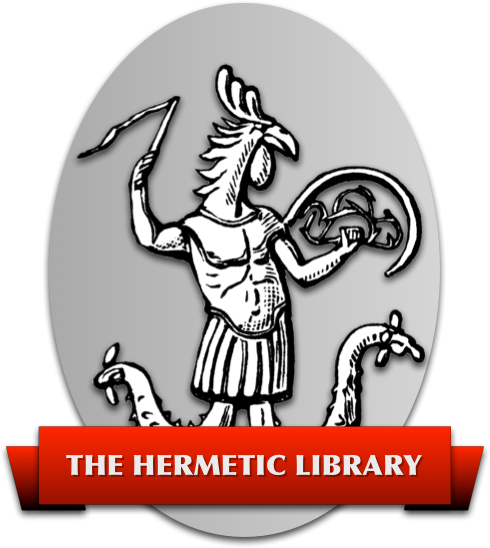 You learn also the great lesson of Thelema, that nothing is right or wrong in itself: as we say “Circumstances alter cases.” One trains oneself to adapt one's life to the impinging facts: to “cut one's coat according to one's cloth.” It leads one to the understanding of that great Principle of Compromise which has kept England's head above water through the tempests of a chiliad. But always behind all these must be Will, the restraining and controlling purposefulness which prevents one getting flabby, as worn rubber does. (This is why no one is surprised to hear an ultra-Socialist minister deliver a speech that might have come from Pitt.) There must be a perfect readiness of the mind to consider all the possible reactions to any given situation, to judge exactly how far one should yield, and in what direction, and to act accordingly; but always on keen guard against the risk of snapping. Remember that the slightest sign of inelasticity means that the rubber has already “perished;” and that the test of perfection is that one can “Snap back” to the original condition, with no trace of the stress to which it has been subjected. Beyond all, be armed against the “doctrinaire” type of mind, in yourself or in another. One very soon falls into the habit of repeating ones pet ideas; as the French say. “C'est enfoncer une porte ouverte;” and, probably before you know it yourself, you have become that most obscene, abhorred and incurable of human monsters, a BORE. I perceive a slight danger of this kind in the letter: moral, SHUT UP!